The Electron Card from BBAC is a debit card that allows you to access your account 24/7 and make purchases and cash withdrawals with ease and comfort. with the Electron Card, you can stay in control of your finances while avoiding the hassle of carrying large amounts of cash. E-Services: You can use the Online & Mobile Banking services to track your card's account activities round-the-clock. Practicality: You can use the card round-the-clock, seven days a week, locally and worldwide to make purchases at millions of merchant locations or over the Internet, and to withdraw cash from any ATM machine displaying the VISA logo. Financial Flexibility: The card is automatically linked to your current account. 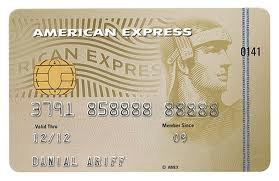 The limit on the card will be the available balance in your account. Since you are using your own money, whether to make purchases or withdraw cash, you do not have to pay any interest charges. Security: BBAC is keen on safeguarding your card against theft, fraud and misuse, by providing the card with a smart chip and setting daily limits for cash withdrawals at ATM machines, as well as sending SMS alerts to your mobile phone every time you use the card at any point of sale or at any ATM machine, in addition to other card details. 3D Secure: “3D Secure” is an online security feature that is designed to grant you greater security when you purchase online by providing added protection against unauthorized use of your card, therefore reducing the risk of Internet fraud. Your transaction will be authorized and completed only when you enter your One-Time Password (OTP), which you will receive via SMS on your registered mobile number.